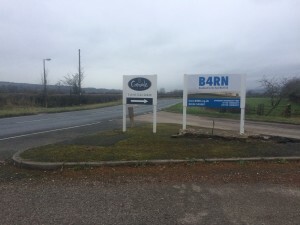 Champions, volunteers and staff all got together at B4RN HQ on Wednesday 25th November 2015, to celebrate the new office, the group’s two MBEs as awarded to Barry and Chris, and the 1500 properties B4RN has now connected to gigabit community broadband! Around a hundred guests dropped by for a grand Jacobs Join featuring hot pies from the local Butchers in Hornby, kindly donated by Walter, and the B4RN kitchen provided copious tea. Together with all the donated homemade cake and tasty nibbles it was a great celebration! An open invitation was made to all volunteers and customers alike, to always feel welcome to drop in, meet up and discuss any queries with each other or B4RN’s key staff. There was also a distribution of MBE (Members of the B4rn Empire) cards to the people who have built this network. If you are reading this, and you didn’t get your card, just drop by the office and Kristina will give you one. 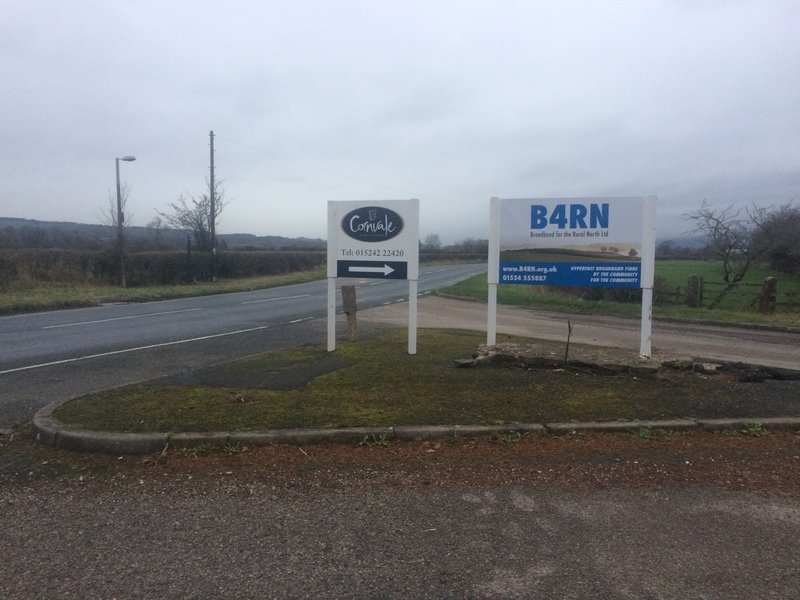 B4RN’s offices are now even easier to find at Melling Station Yard with new roadside and building signage printed and installed by local printers Signs Express.